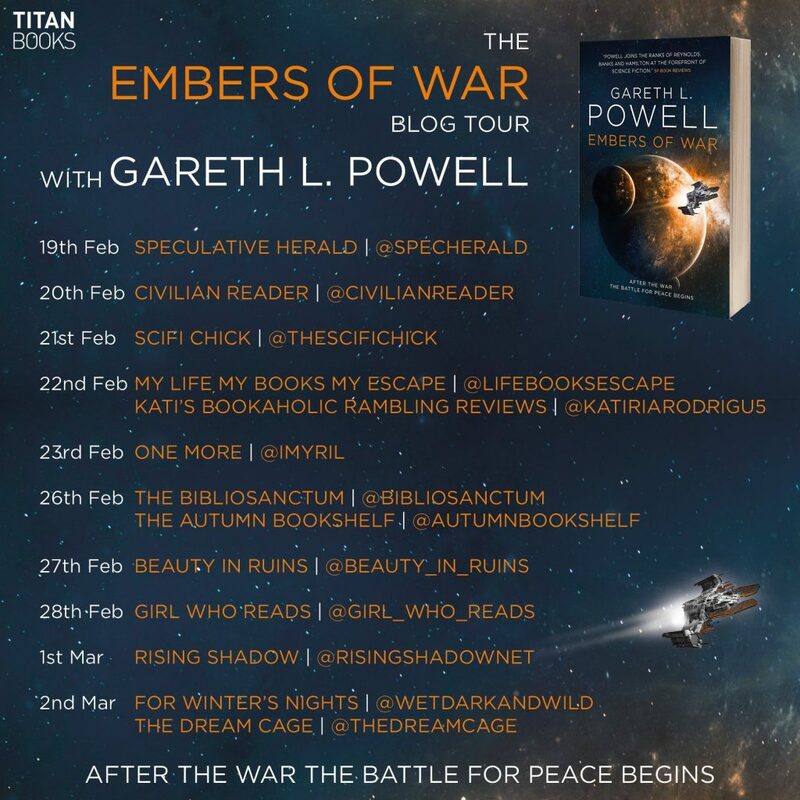 Today marks the official publication of Embers of War, and to help publicise the fact, the lovely people at Titan Books have sent me on a blog tour. Each day, I’ll be popping up somewhere on the internet with a guest post or interview. Below, you can find the dates and Twitter handles of each site, where you’ll be able to find out which books influenced Embers, my thoughts on classic and modern space opera, and all sorts of other good stuff. Pretend they’re Pokemon and collect them all!